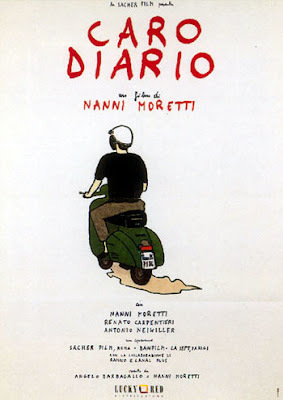 Nanni Moretti’s Caro Diario (1993) can be theorised as a merging of several critical discourses directed at contemporary Italian bourgeoisie and intellectuals together with the social injustice that they perpetuate. Both ‘In Vespa’ and ‘Isole’ scorn Italian culture for its bourgeois capitalistic aspirations and its complacency. During ‘In Vespa’, Moretti aligns with the minority to inform his discourse against social injustices. Meanwhile, Moretti’s internal journey and self-realisations throughout Caro Diario is an observation on the Italian individual’s inactivity and passivity in life. Finally ‘Medici’ is critical of Italian authority figures and other national power institutions that have broken people’s trust. ‘In Vespa’ constructs a discourse against the undesirable transformation of Italian society over the last 30 years. During the 1960s, Italy underwent an economic boom which saw much of the population adopt consumerism as a status symbol (Rascaroli, “New Voyages” 77). The migration of newly affluent Italians to the modern suburban houses is conceptualised as a grotesque adoption of normative middle class practices and of consumerism. As Moretti rides his vespa through the city of Rome, he overtly reflects on his fondness for the older Garbatella suburb and Ponte Flaminio. But then while strolling through a more modern middle class suburb, he mocks the uniformity of its dwellers’ lifestyle, including their addiction to videotapes and slippers. A long, panning shot of modern urban apartments with their stacked geometric form further conveys the crude homogeneity attributed to Italian middle class capitalists. As if to emphasise this discourse, ‘In Vespa’ includes a passage from an Italian film. It depicts a lounge gathering between a group of affluent Italians who lament their lack of passion and their passivity. The dialogue acts as a metaphor for how Moretti considers Italian society. The film’s grim quality and gray-blue tones mirror Moretti’s concerns about the ‘new’ being hopelessly dull and dispassionate. Moretti’s external journey during ‘In Vespa’ denotes that Italian culture has foregone its past refinement and desire for social justice in favour of vulgar mass consumerism. This discourse is subtly informed by references to director Pasolini. 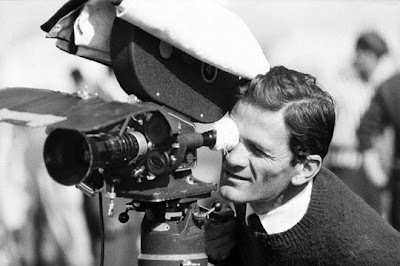 In real life interviews, Moretti has revealed his love for the more radical, political cinema of the 1960s, such as that of Pasolini (Mazierska and Rascaroli 11). Conversely, it becomes clear as Moretti cringes in his seat while watching an Italian film session, that contemporary film horrifies him. As evinced by his commentary on Rome’s suburbs, Moretti seems to agree with Pasolini that the past “contained a sacredness and poetry which the contemporary Cartesian world had lost” (Rohdie 9). Moretti’s visit to Pasolini’s grave pays an homage to past cinema while also lamenting the refined past that Italians have abandoned for their new capitalistic lifestyle. The grave, it turns out, is a remote, unkept and isolated stone sculpture which renders the symbolic neglect of the sacred only too apparent. Pasolini’s reality is “the reality of the poor, [...] the things that European bourgeoisie incarcerated, expelled beyond its borders” (Rohdie 12). Pasolini’s neglected grave mirrors society’s abandonment of fine cinema, and with it, the shunning of the poor in favour of capitalism. Caro Diario’s ‘In Vespa’ further highlights social injustices in Italian society by endorsing the concerns of ‘the other’. Moretti has been critical of Italian comedy (Mazierska and Rascaroli 12, 87) whose tendencies is to address social issues by poking fun at marginal society, working class and the poorer, uneducated milieu. ‘In Vespa’ functions in the opposite way to Italian comedy because Moretti pokes fun at his own class and aligns himself with the marginal masses. He boldly converses with a driver at a traffic light and tells him that he is “...comfortable and in agreement only with a minority”. This autobiographical component of ‘In Vespa’ reminds the audience that while Moretti may be an affluent intellectual in real life, he aligns himself with ‘the other’. Later, Moretti immerses himself into world music as if to convey his siding with this other. In particular, Moretti dances to the beat of ‘Didi’, a Rai hit by Algerian-French singer, Cheb Khaled. Before its popularity, Rai music originated from the poorer societies of Algeria who were eager to voice social concerns affecting the native population (Rai, Wikipedia). By embracing the moors of the marginal ‘other’ Moretti remains critical of traditional Italian comedy and of the affluent, intellectual community of which he himself is part. Caro Diario also constructs its anti-intellectualism discourse by advocating for a direct form of communication that can be understood by all. Conducive to this discourse, is the focus on television during ‘In Vespa’ and ‘Isole’. Television is traditionally seen as a source of entertainment devoid of depth and intellectualism. In ‘Isole’, Gerardo, who initially professes his long avoidance of television, eventually becomes addicted to soap programs as far as running away from Alicudi. According to ‘Isole’, Gerardo’s unlikely endorsement of soap programs attests to the value of television. Meanwhile, Gerardo’s written protest to the pope is an indirect criticism of the rigid religious institution, so pervasive in Italian society. It questions the disfavour into which television programs have been placed by reminding Italy of the value of television for meaningful cultural exchange and as a “direct mean of communication” (Rascaroli, “Caro Diario” 239). Television is, in essence, communication that is attainable to all, regardless of education. By appraising television’s qualities, Caro Diario denounces society’s more obscure forms of communication which tend to ensure that intellectuals or political groups remain in power and propagate social injustice. ‘Isole’’s other important discourse criticises the prevalent complacency within Italian society and Italians’ inability to see reality as it really stands so as to eventually improve it along with themselves. During ‘Isole’, Gerardo and Moretti travel through a succession of islands which can be conceived as a micro version of Italy, together with its different regions and villages where people speak different dialects. The chapter paints an Italian complacency, one derived from an absurd sense of self-sufficiency and a lack of clear vision for reality. In Salina, surrealistic passages denote the absurdity of adults trapped into interminable conversations with pampered children intent on monopolising telephone exchanges. Just as Salina’s indulging parents are highly unaware of their own absurdity, so to, is the mayor of Stromboli hopelessly blind to the hostility of his island’s inhabitants. Gerardo and Moretti finding no place to remain on inhospitable Stromboli, are promptly escorted to their boat where the mayor prescribes irrelevant solutions in the form of a fountain and ornamental music in an attempt to improve his island. Again, the mayor can not see reality for what it is and shifts instead to tangential issues. Finally, the people of Alicudi, so proud of their asceticism and isolation also remain self-satisfied and blind to the detriments of their own condition. According to Rascaroli, the mayor of Stromboli represents the Italian government’s tendency to offer “easy and generic choices” (“Caro Diario” 240). I would argue that it is not so much the suggested solution that is in error but rather, the blind diagnosis and the absence of an awareness which itself points to an inherent complacency within Italian society. This discourse is further emphasised in ‘Medici’ where local doctors continue to be blind to Moretti’s true illness and prescribe irrelevant drugs to solve a medical condition which they have failed to diagnose. ‘Medici’ scorns Italian doctors for being too complacent to even doubt their own judgement or search more deeply into Moretti’s illness as the Chinese doctors did. Just as Stromboli’s mayor remains blind to the real problems on his island, so to are the doctors who can not see Moretti’s true ailment. In essence, Caro Diario highlights the complacency of Italian society which it sees as a veritable scourge since it hampers individual and national growth through relevant solutions. Similarly, Caro Diario’s autobiographical components construct a discourse to criticise the individual’s passivity and self-satisfaction. According to this, the individual, both in Italy and elsewhere, has failed to embark on those activities that were once planned and have since been neglected. In ‘Vespa’, Moretti alludes to having always wanted to dance and never doing so. Meanwhile in ‘Isole’ after entrusting his list of tasks to Gerardo, he claims “I have done none of the things I wanted to do”. Later, in ‘Medici’, the autobiographical component functions as a metonym for the individual at the universal level, who, when made vulnerable by illness is suddenly confronted with a renewed sense of their own mortality. Caro Diario therefore underlines the dangers of the individual’s inactivity. It presses the individual to act before it is too late. Finally ‘Medici’, through its depiction of highly imperfect medical institutions, is a discourse against Italian authority as a whole, be it political or religious. ‘Medici’ is critical of powerful national institutions that have failed to deliver solutions and broken people’s trust. As made clear by Rascaroli (“Caro Diario” 241), Moretti appears fragile during his visits to the doctor. This is a metaphor for the vulnerability of the everyday citizen of any country who, powerless and often, against their will, places their trust in some power institution in the hope that they will not be disappointed. But as the succession of incorrect diagnoses ensue and as Moretti’s condition worsens, it is clear that disappointment often occurs. Caro Diario. Dir. Nanni Moretti. Hopscotch Entertainment, 1993. Mazierska, Eva and Rascaroli, Laura. The Cinema of Nanni Moretti: Dreams and Diaries. London: Wallflower Press, 2004. Rai. Wikipedia. Undated. 13 Aug 2009 . Rascaroli, Laura. “New Voyages to Italy: Postmodern Travellers and the Italian Road Film.” Screen 44 (2003): 71-91. Rascaroli, Laura. “Caro Diario: Dear Diary”. The Cinema of Italy. Ed. Georgio Bertellini London: Wallflower Press, 2007. 235-43. Rohdie, Sam and Pasolini, Pier Paolo. The Passion of Pier Paolo Pasolini. Bloomington, Indiana: Indiana University Press, 1995. I wrote this essay as part of a European Film Course.